When you think of Texas, chances are pickup trucks and Tex Mex come to mind before lush, green forests do. However, you’d be surprised to know that there are 62.4 million acres of woodlands and forests in Texas. You’ll find the principal forest region just East of Texas, also known as Piney Woods due to its pine-hardwood density. Head 50 miles north of Houston and you’ll find the Sam Houston National Forest, containing 163,037 acres of gorgeous, protected forest land. With land in Walker, Montgomery, and San Jacinto countries – Sam Houston Forest intermingles with both small farms and privately-owned timber lands. Now, why would this interest you? Besides being able to throw down some super nerdy facts about Texas at the next party you attend, you’ll also be able to take advantage of this National Forest. Because, let us tell you, it offers a lot. The three counties that hold Sam Houston National Forest, as mentioned above, have provided evidence of human occupation for back as far as 12,000 years. In more recent years, the basins of the Trinity Rivers and the San Jacinto were home to Atakapan-speaking communities. As hunters and gatherers, these groups practiced forms of agriculture on the land. Eventually, pressure from the European settlers along with disease led to the communities’ extinction as early as the 1800’s. Thanks to modern-day archaeological sites that have been discovered within the national forest, experts have found evidence of occupation within the forest as early as the Twentieth Century. While the forest itself is beautiful, carrying hints of natural magic as you walk through it, knowing that it also holds significant parts of one’s heritage makes it that much more special. 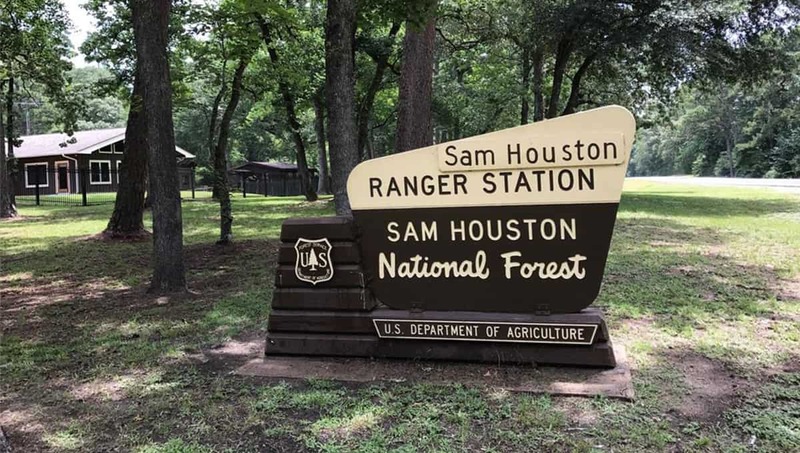 If you find any artifacts in the national forest, leave them where you found them and contact the office of the Sam Houston Ranger District. After reading the history of this forest, you may be thinking of this area as more of a protected live museum than a playground, but there lies the beauty of this national forest: It includes everything. No matter what you love to do in forests, the Sam Houston National Forest offers it (within reason, of course). Of course, hiking is at the top of the list. As one of the cheapest, easiest and most rewarding ways to embrace an outdoor area, hiking in Sam Houston National Forest does not disappoint. Start along the 128-mile long Lone Star Hiking Trail as it winds through the forest, following the aluminum trail markers, guiding you through the gorgeous forest. After only a few minutes into your hike, you’ll be able to see how it earned its National Recreation Trail status. Not including deer hunting season, primitive camping is allowed for hikers off the trail almost all-year round. This gives you the chances to truly soak up your natural surroundings and experience a wild retreat. The Lone star Hiking Trail can be hiked all-year round – however spring and winter are the most popular seasons to visit due to the mild climate. Usually, you’ll find this hiking trail to be far from crowded. And along with wildlife, trees, and plants – you’ll also be able to view the creeks, lakes, rivers, and streams that wind through the forest. You’ll find three well-developed campgrounds in the Sam Houston National Forest. These campgrounds are called Cagle, Stubblefield, and Double Lake Recreation Areas. While Double Lake and Cagle facilities are open by reservations, or by a first-come, first-serve basis -Stubblefield is available only on a first-come, first-serve basis. You can make a reservation for Double Lake and Cagle by visiting the National Recreation Service website. Cagle campground is new and comes with full-service facilities including: 48 camping spots with fresh-water, electricity, and sewer connections. It also has hot showers, restrooms, biking trails, wildlife viewing, water sports, fishing, and a picnic area that overlooks the lake. Double Lake Recreation Area can be found on the East side of the Sam Houston close to Coldspring. This campground includes family and group camping units, a swimming area, a picnic shelter, and a beach with a concession stand that offers a bathhouse. Each family camping spot has a fireplace, a table, a tent pad, a lantern-holder, and parking spot. Canoes and paddle boats can be rented at the concession stand, which also sells groceries and ice cream. Stubblefield Recreation Area can be found on the West side of the Sam Houston National Forest, on the north side of Lake Conroe. This campground holds 28 camping spots and offers access to the hiking trail. Here, you’ll be able to find hot showers and restrooms. It’s also a great choice to experience a lush forest setting for birding, fishing or hiking. Picnic tables with grills and lantern posts are also available. Lake Livingston and Lake Conroe offer water sports and pleasure boating for those looking for a bit more excitement during their Sam Houston National Forest visit. The Southern section of Lake Livingston also offers open water for all you sailors out there. 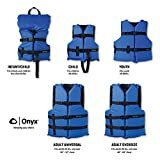 Make sure to bring your boating license and your own life jackets to the lake if you’re planning on having fun on the water. Hunting and fishing are also available on the land and lakes of Sam Houston National Forest, however unless you’re hunting for population control, we highly suggest you don’t hunt or fish in National Forests. According to many scientific reports and studies over the years, biodiversity has decreased to a point scientists consider to be, ‘unsafe’. While being out in the wilderness is a memorable experience, we can do it without disrupting or destroying natural habitats, ecosystems and life in general. In Sam Houston National Forest, if you’re either lucky or stealthy enough, you’ll find lots of wildlife. If you venture off toward newly regenerated timberland, you’ll be able to spot dove and quail, or ducks if you’re closer to the water. Lake Conroe and the surrounding forest also offers habitat for the endangered bald eagle. If you’re around Sam Houston National Forest during winter months, chances are high that you’ll be able to spot one of these soaring beauties. Another endangered species that you may be able to catch glimpse of is the red-cockaded woodpecker, which is small bird with white and black feathering, along with large white cheek patches. The woodpecker creates its home by pecking holes in large pine trees. The cavities are then used by a range of different forest wildlife including screech owls, other woodpeckers, wood ducks, bluebirds, honey bees, and squirrels. 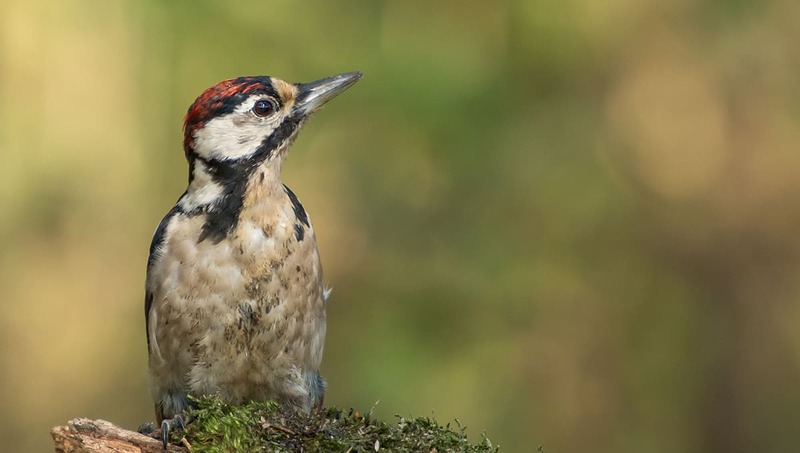 This special woodpecker also chips away around the entrances of their nests to create wells. This gives the tree cavity a waxy look below the opening and is made to protect the bird and its babies from snakes. The red-cockaded woodpecker was labeled as endangered in 1970. In the woodland areas, you’ll also be able to catch sight of deer, a variety of squirrels, and many other forest animals. Now that we’ve covered everything you need to know about Sam Houston National Forest, it’s time for you to go out and experience it for yourself. National forests provide clean water, climate regulation, biodiversity, and natural beauty. They can be a region’s lungs – providing fresh oxygen, and hold a strong sense of culture, which, when you think about it, is pretty special. Also, no matter what outdoor activity you enjoy doing, it can always be improved by doing it surrounded by nature. And when it comes to Sam Houston National Forest, you’ll definitely get your fair fix of that.